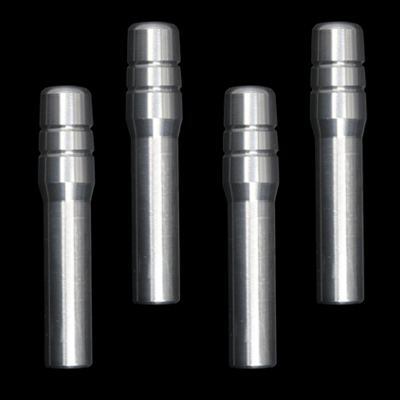 * Brushed Satin Finish Innovative Bold Styling: Whether your replacing your cracked factory plastic door pins or upgrading the look of your muscle car you can't go wrong with UPR's Billet Slimline Door Pins for your 2005+ Dodge or Chrysler. Simply unscrew the stock door pins and screw in the new ones and change the look of your interior in a matter of minutes. Our Quality & Finish will leave you with a grin from ear to ear as it is the Best looking unit available for your Dodge or Chrysler. Quality Construction: No one else can Stack up to the bold clean styling of our aftermarket Billet / Stainless Steel Dress Ups, Street / Strip / Racing Suspension and Performance Parts for your American Muscle Car! Installs in minutes with nothing more than your fingers. Click Here for Instructions Fits these Vehicles: 2005 2006 2007 2008 2009 2010 2011 2012 2013 2014 2015 2016 2017 Dodge Magnum Charger Challenger Chrysler 300 R/T SRT8 Hemi Mopar. Made in the USA!